We spent the morning at the National Portrait Gallery in London and saw the pictures of the Tudors. 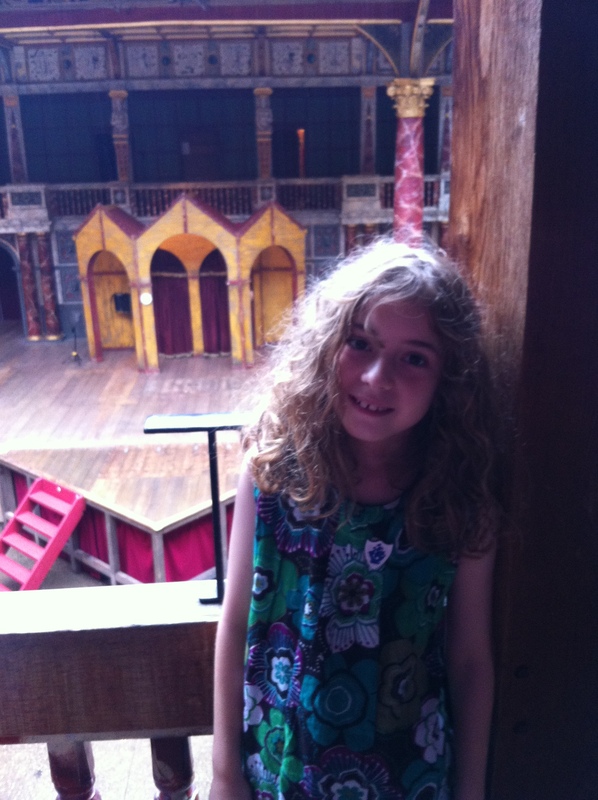 In the afternoon, we did a tour of Shakespeare’s Globe Theatre. This is the first place I got into using my new Blue Peter Badge! It was tipping it down but we got to stay in the middle gallery with a roof over our heads and we kept dry. The tour guide said there was a ghost in the theatre and he told us all about the original theatre when Shakespeare used it. This one is not the original one but is a copy. The real one burnt down in the middle of a play when they fired the cannon to signal that someone had died, and the cannon set fire to the thatch roof and burnt the place down! The tour guide was very good and told us some interesting facts. Afterwards we went into the museum and did the children’s trail. We saw some Elizabethan costumes. It was a great day and I would recommend lots of people to go there because the tour guides are very funny! 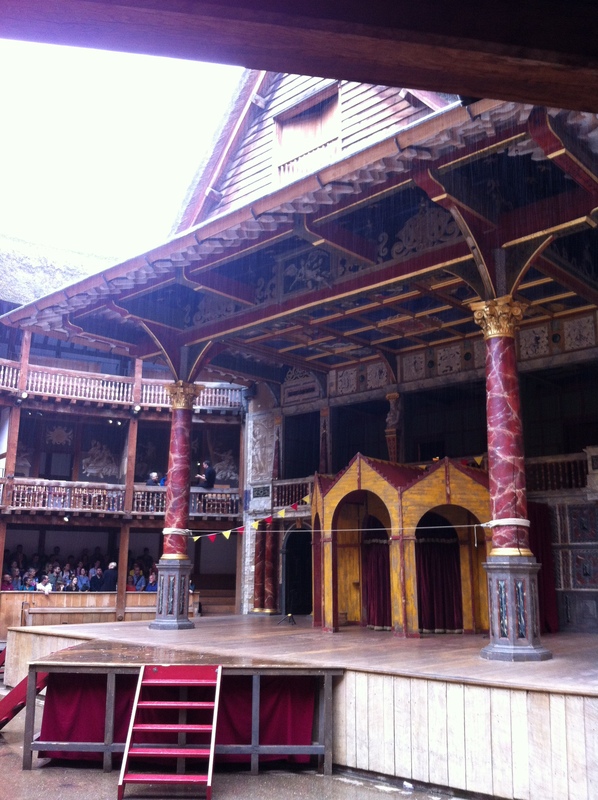 This entry was posted in Day Out and tagged Globe, history, Shakespeare, Shakespeare's Globe, Theatre, Tudors. Bookmark the permalink. Hello Summer, a very interesting Blog again. 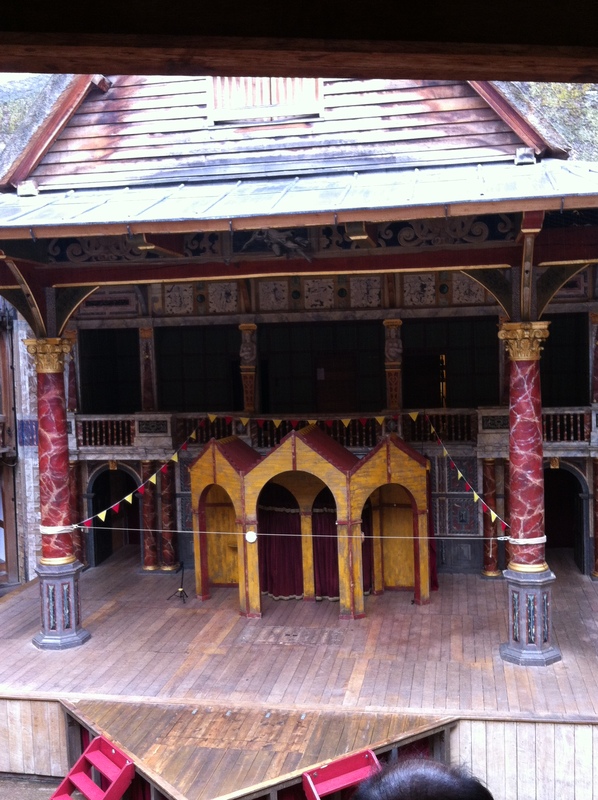 I went to see The Globe Theatre soon after it was built, (not the original one, ha! ha!) it must be quite different now to when I saw it. I like your pretty name tied around your head.